Stanford psychology professor Carol DweckÂ has become something of a cult figure in education and parenting circles. Her research into boosting student motivation has spawned a mini industry of consultants, sold more than a million books and changed the way that many adults praise children. Dweck believesÂ too many students are hobbled by the belief that intelligence is a fixed trait. She says kids with what she calls “fixed mindsets” stop trying when when confronted with a challenge because they’ve convinced themselves that they’re not good at math or writing or whatever the subject is. She argues that adults can, instead, help foster a “growth mindset” — the belief that the brain is like a muscle that can growÂ strongerÂ through hard work. Dweck theorizes that parents’ well-intentioned praise contributes to the formation of unproductive fixed-mindset thoughts. According to the theory,Â it’s harmful to tell your kids that they’re smart because when they eventually do struggle in school, they might think they’re not so smart after all. Ultimately, they become afraid of challenges and less resilient when faced with obstacles. Dweck’sÂ theory is so popular that I’ve had Brooklyn mommies at the playground reprimand me for incorrectly praising my daughter. But how to praise your kids properly is, apparently, quite complicated. Earlier this month, Dweck delivered a speech at Stanford University, where she highlighted three ways that parents and teachers are going astray. Many parents and teachers have interpreted Dweck’s work to mean that they should praise a child’s effort, such asÂ “I’m proud that you tried really hard,” or “I see how much effort you put into this.” Or teachers sometimes give A’s on assignments if a child has attempted all of the questions, regardless of whether the answers are good or not. Praising effort alone, she says, isÂ uselessÂ when the child isÂ getting everything wrong and not making progress. Either students will feel misled when they are eventually confronted with the reality of their low achievement, or the hollow praise will convey adults’ low expectations for them. Instead, she advisesÂ teachers and parents to praise a child’s process and strategies, and tie those to the outcome. Effort, Dweck says, is only one route for a student to make learning improvements. If a student doesn’t have strategies for solving a problem, or the necessarily skills, or the steps forÂ completing an assignment at his fingertips, all the effort in the world might not help. To do it right, Dweck says that many teachers have to change how they teach, offering more critical feedback and giving students opportunities to revise their work. Dweck cited a recent Stanford Ph.D. thesis by Kathy Liu Sun, now a professor at Santa Clara University,Â which found that students continued to have fixed-mindset thoughts in math class when their teachers mouthed growth mindset phrases but didn’t change their teaching practices. Still, Dweck is finding uneven results even when parents and teachers implement her growth mindset strategies properly. She’s seeing much bigger gains for low-achieving students than for high-achieving ones. In other words, D students often jump an entire letter grade or more after a growth-mindset intervention just by reengaging with their work, but B+ students don’t suddenly move up toÂ A’s. However, it’s possible that high-achieving kids are profiting in other ways. Dweck noticed that high-achieving students were more likely to tackle harder math problems after an intervention, compared to similar kids in a control group. 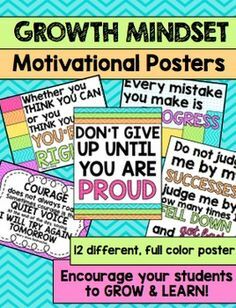 Perhaps, over the long term a “growth mindset” will serve them well in college and in life, even if it doesn’t boost grades.